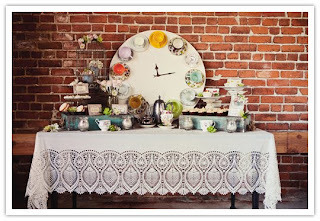 Interested in having an eclectic tea party theme at your event? Give us a call and we'll help you put it together! 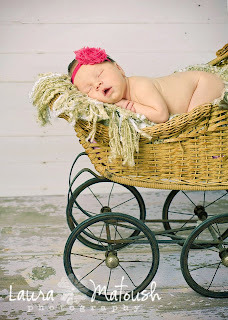 Ready for a Cuteness Overload? First of all, sorry for all the weird clothing posts. 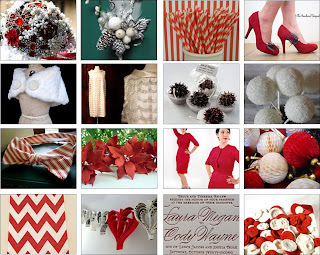 I unlinked my Polyvore account and this blog so those posts should stop. I can't figure out how to only publish to my blog from Polyvore when I want -- EVERYTHING I do on Polyvore was showing up here. Antique Kitchen Scales -- Recently someone borrowed these for a newborn shoot -- apparently a newborn baby WILL fit on them if he/she is scrunched up a little. 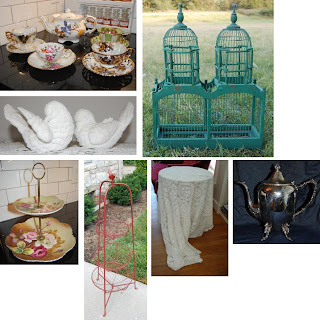 There's lots more, including suitcases, wooden crates, baskets, vintage vanity items (for "dress up" shoots), old school desks, etc. 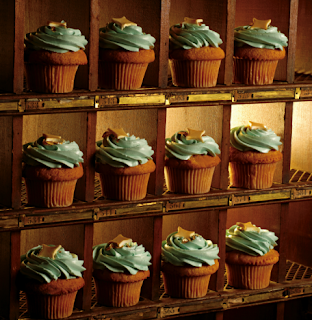 Take a look at the flickr gallery for more ideas (link at right of page). 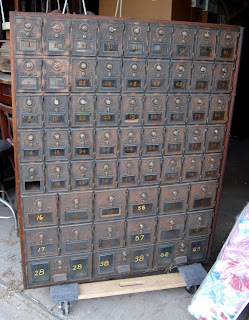 Awesome set of old post office boxes. 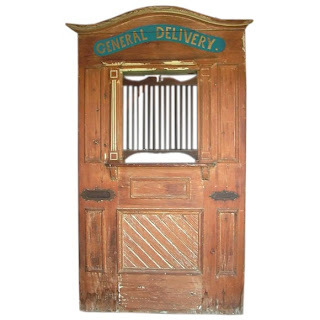 Split door with envelope and packages mailing slots. 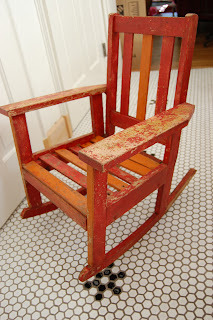 (Assembled it would look something like the one below). 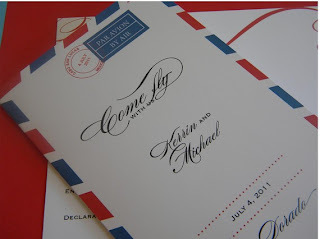 It would be cute to use some other mail-themed items in conjunction with the post office stuff. 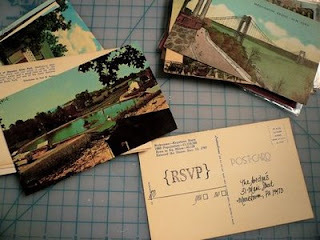 These are really genius RSVP cards -- vintage postcards stamped with the RSVP info. 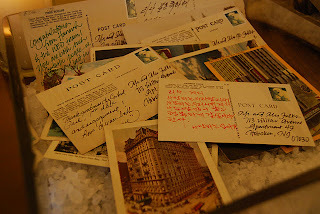 Another use for old postcards -- give them out at the reception to guests then collect them and send the well wishes to the bride and groom. 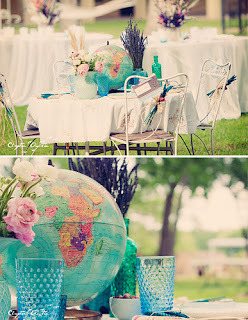 Give us a call -- we can't wait to brainstorm ideas for using these pieces at your event with you! 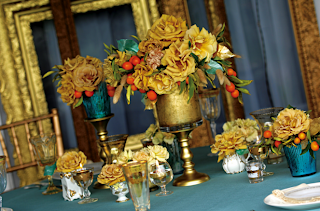 I am soooo excited about a wedding that event planner Candace Kalasky of Lovestru.ck Social Event Planning is putting together. 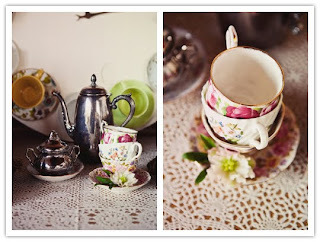 (She's got killer style and great ideas -- check out her blog.) 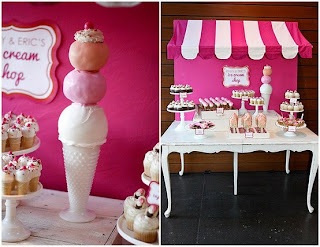 She is going to be using a store display cabinet from Nostalgia to create a patisserie style dessert station. 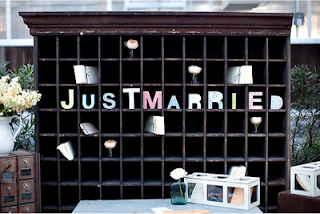 I have seen a few of these pop up in wedding blogs and they are such a neat idea. 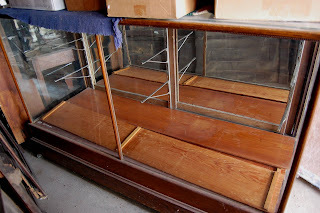 Below is one of our store display cabinets. It is 72" wide, 27" deep, and 46" tall. 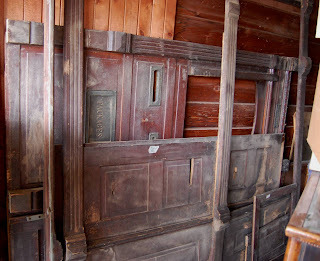 We have another one that is the same size and we just picked up a 5' cabinet at auction this past weekend. 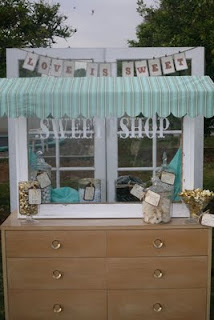 Wouldn't this look great with a little canopy above it like in the pictures above? 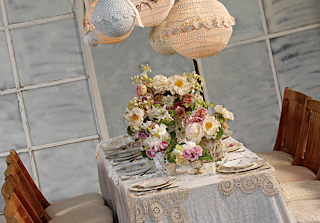 We'd be happy to help you create one of those for your wedding -- I would classify my sewing skills as "developing," but my mother-in-law, who is also my Nostalgia business partner, is a very skilled (and former professional) seamstress. 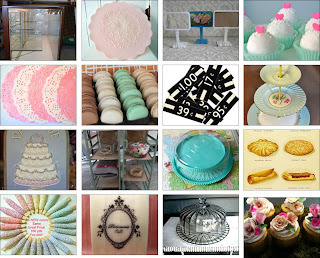 I was poking around etsy this weekend looking for patisserie props and put together this treasury. 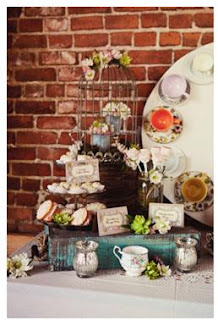 We have a lot of similar items in our inventory -- cake plates, tiered candy trays, apothecary jars, you name it. 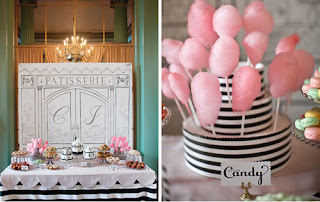 We'd love to help you create this look for your wedding! So fun!